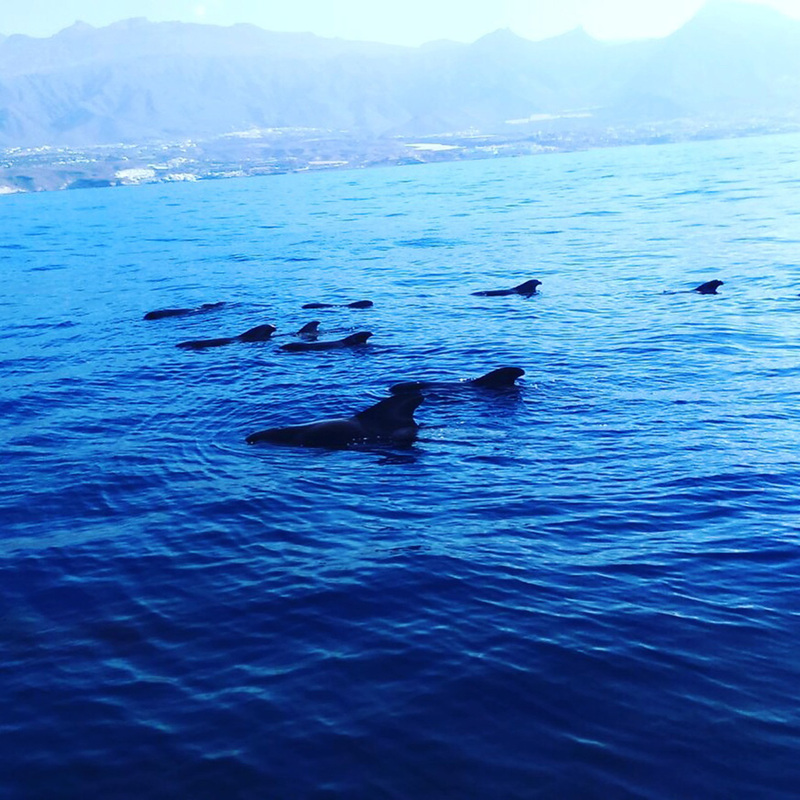 SeaQuestff sailboat takes you to know the coast of Tenerife and other corners of the Canary Islands, enjoying its many beaches and coves with charm and a wonderful whales and dolphins watching. 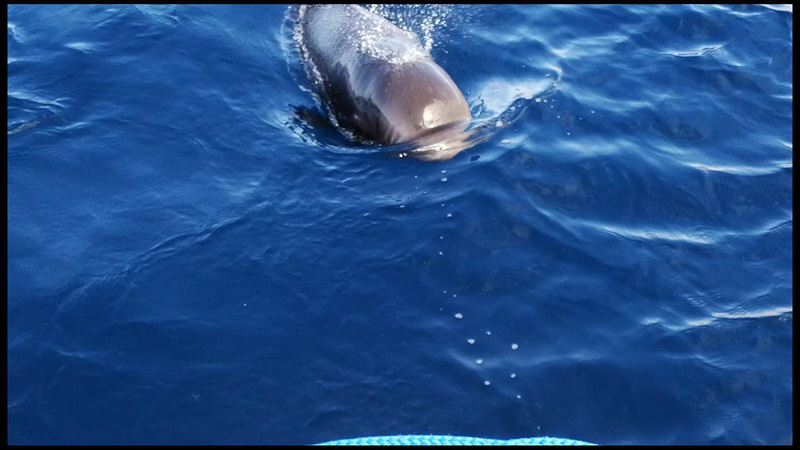 If you feel like having a good time, relax, get to know the Atlantic on the Canarian coast, have fun and sail, we invite you to do it with us, and we assure you a beautiful and unforgettable adventure that will make your vacations an unforgettable experience. 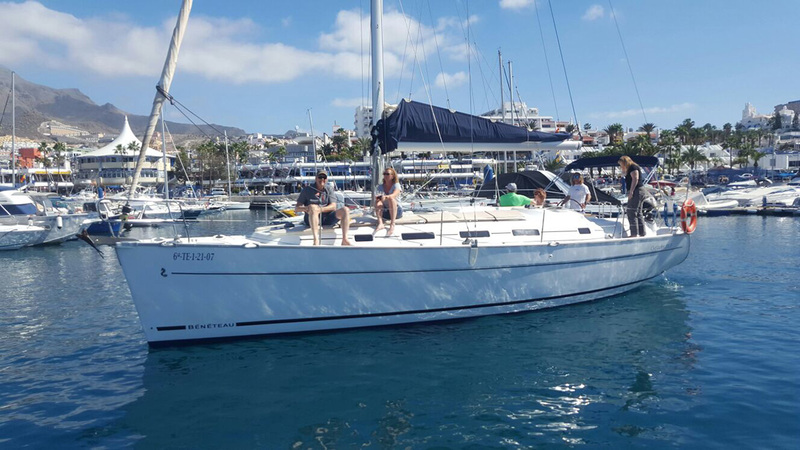 We are a company that specializes in boat trips around the Canary Islands, during these excursions we offer you a ride on a luxury sailboat. 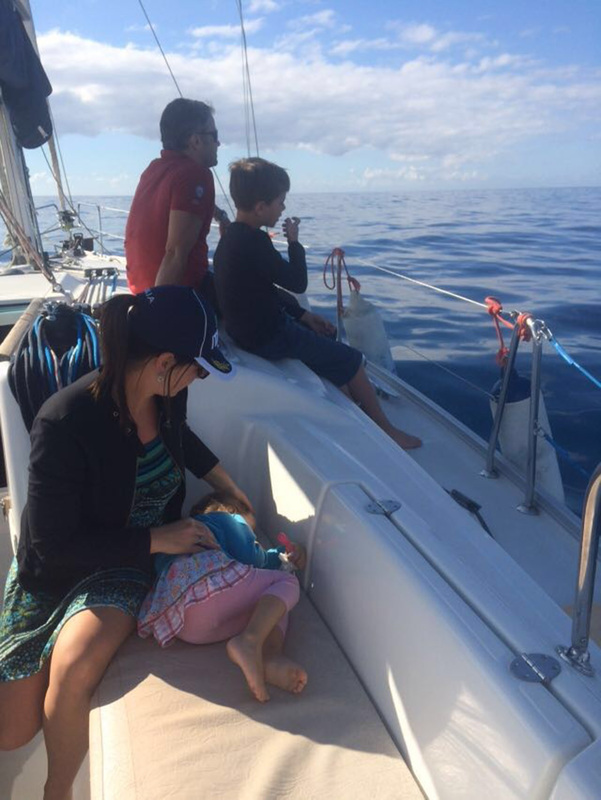 Our captain is an expert in sailing and great connoisseur of the Canary Islands. 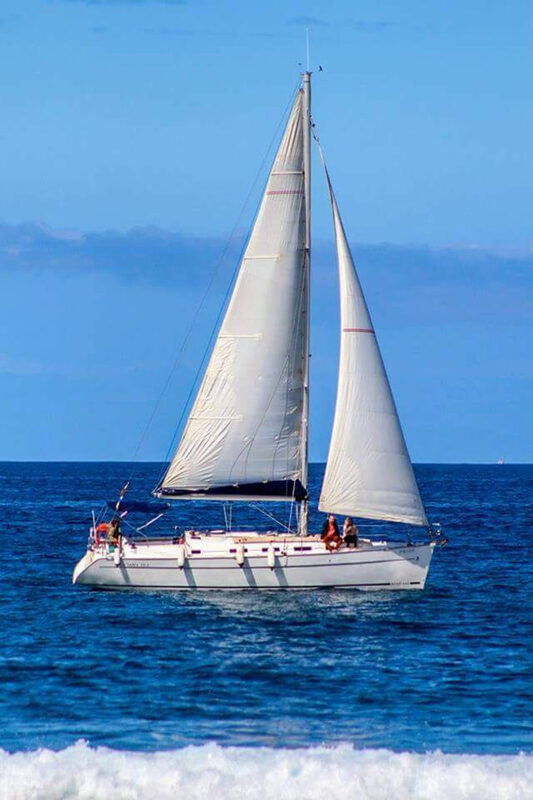 Renting a sailboat in the south of Tenerife as the Seaquestff, offers you a relaxing adventure along the south coast of Tenerife (Adeje, Playa de las Americas, Los Cristianos). 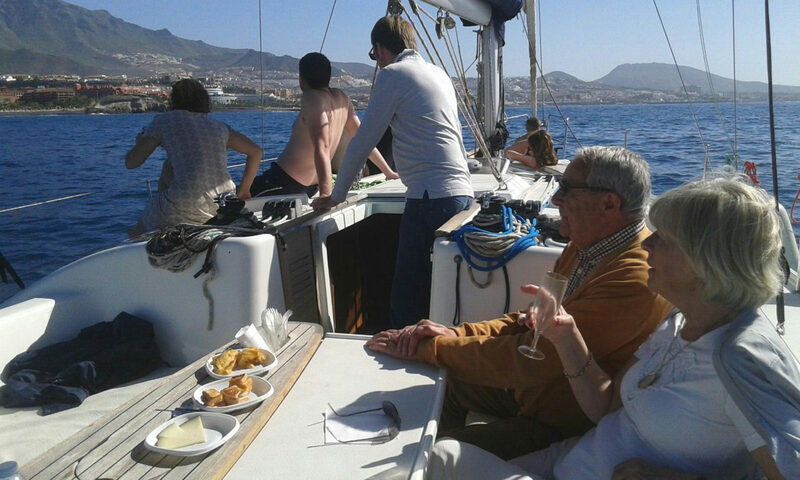 Rent a boat to design together a private and route, depending on the time we can do different routes, Tenerife and other islands. 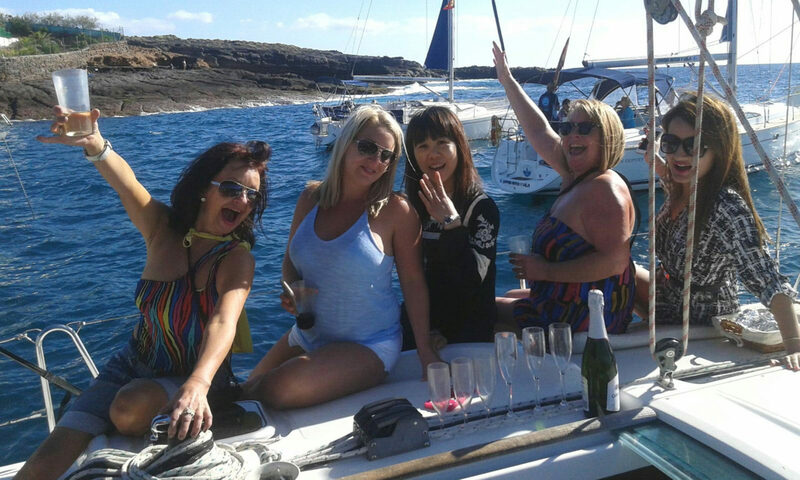 Rent a boat to have a romantic trip on the south coast of Tenerife, birthday parties, stag / hen parties, meetings between friends, company incentives…. The price includes transport from and to your hotel, food and drinks. 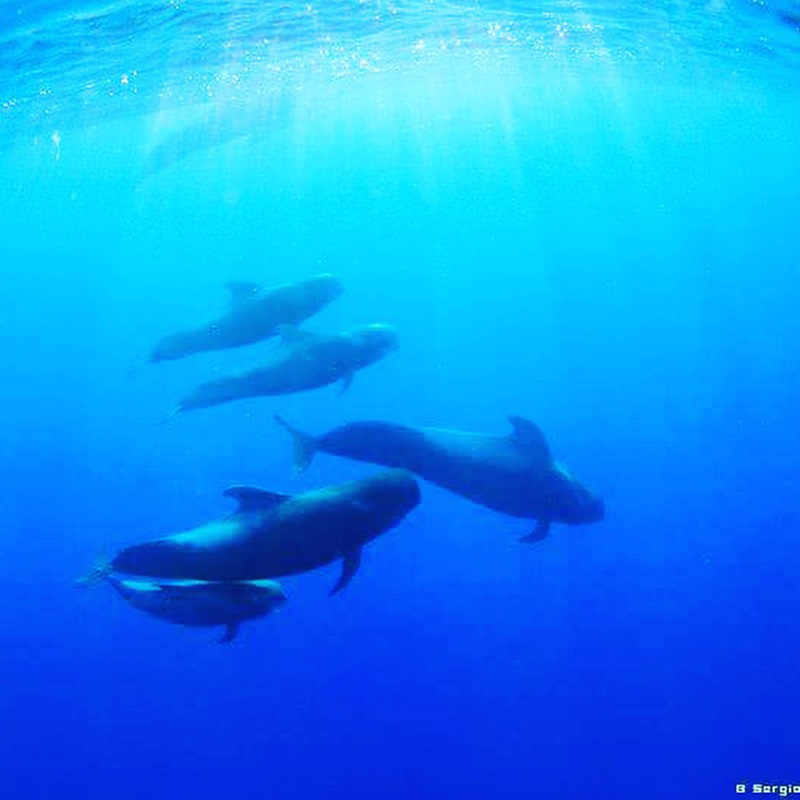 Free for children under 6 years and up to 12 years at half price. For those who do not have booked accommodation yet, they can consult us or visit the Trivago website for more information on hotel establishments in the area. 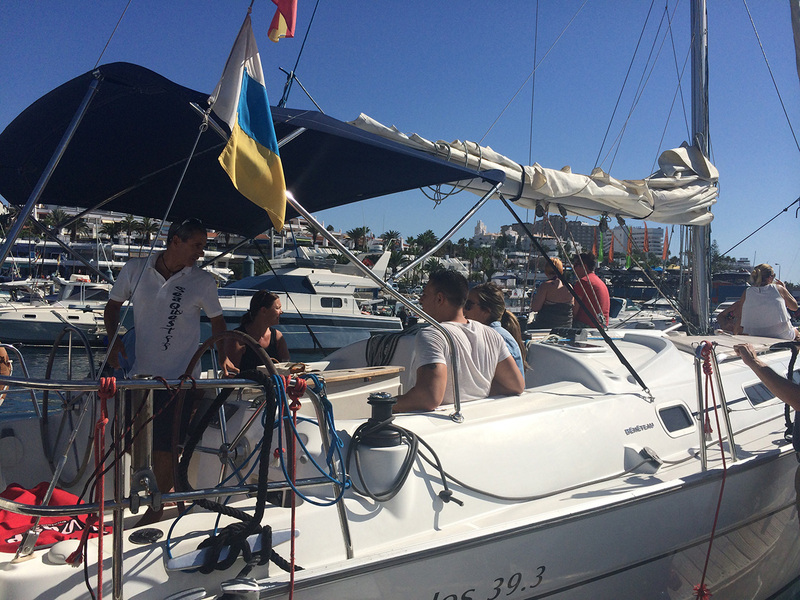 We are located in Puerto Colon, dock (gate) #8, Costa Adeje – Tenerife.